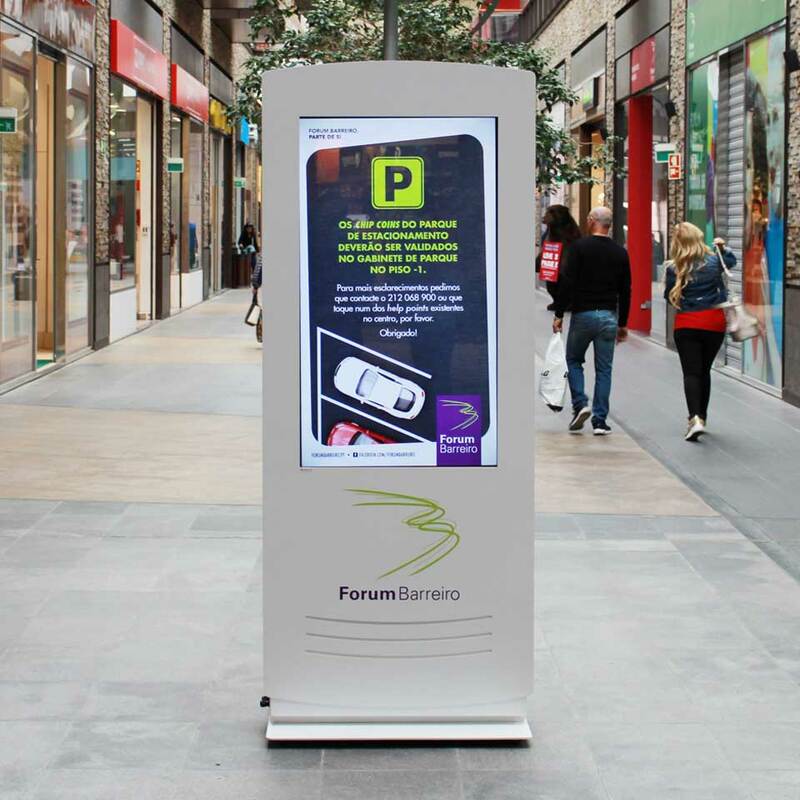 The Forum Barreiro has chosen the digital billboards developed by PARTTEAM & OEMKIOSKS to communicate and present information to visitors to the shopping center. Shopping centers have a qualified audience of consumers, who are able to spend and consume goods, products and services. The Forum Barreiro is a shopping center, consisting of two floors of shops, outdoor areas and a great diversity of offerings for visitors. NOMYU INLITE with 49 '' displays. 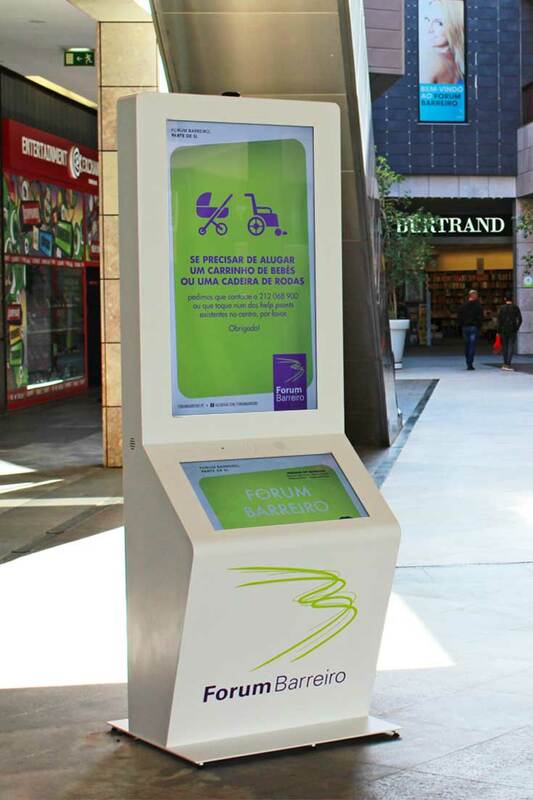 Located in different places of the commercial center, the digital billboards allow to present ads and useful information of the Forum Barreiro, to the people who visit the shopping center. Recommended reading: Programmatic Advertising - What is it and how does it work? 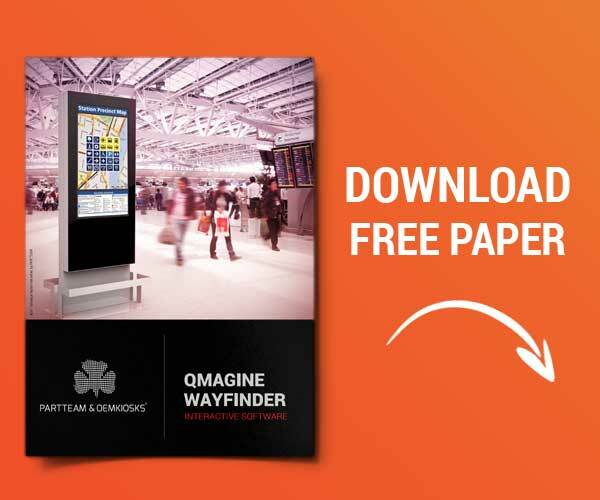 In addition to providing information, one of the IMPACTV digital billboards integrates the WayFinder system (interactive map) that allows to locate shops and other specific places in the Forum Barreiro. Digital signage is transforming shopping centers and the way visitors and consumers interact with these sites. Prepare your business for the future ! Get to know the technological solutions of PARTTEAM & OEMKIOSKS.